There’s so many brands of Contact Lens Solutions in the market right now. How do we choose a suitable Contact Lens Solution for ourselves? Especially, we wear contact lens daily, at least 12 hours per day, choosing a suitable and good contact solution is very important! So omy.sg & Abbott Medical Optics (AMO) provided me some questions for me to choose a suitable Contact Lens Solution for myself. 1. Are you looking for a solution that requires less rubbing time? 2. Are you wearing high-oxygen permeable soft lenses? 3. Do you wear your contact lenses for long hours, i.e. 12 hours or longer? 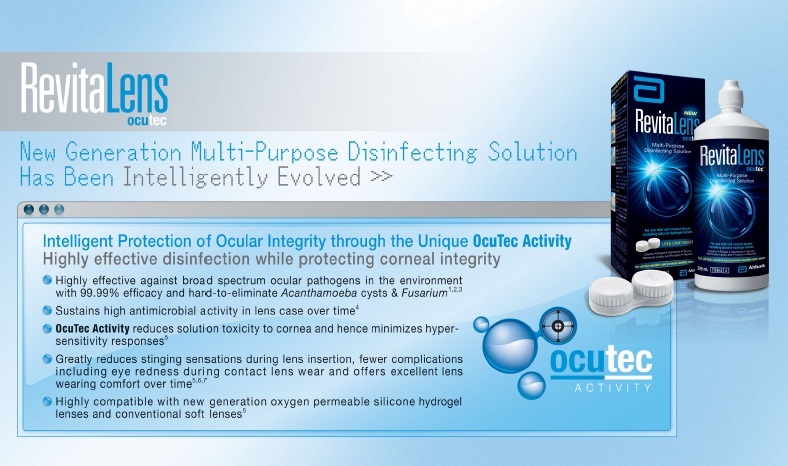 With my answers above, they suggested RevitaLens OcuTec Multi-Purpose Disinfecting Solution for me! I have a very sensitive and dry eyes, my eyes will tends to get dry after half day and sometimes in the evening it will start to have redness and my eyes feel sting! In order to keep my eyes moist I have to use eyes drop every few hours. After using RevitaLens for 3 days, I can feel the difference. I don’t feel dry at all even after half day passed, my eyes are comfortable with my lens on the whole day. And guess what! These 3 days I didn’t use any eyes drop at all! Amazing isn’t it? In order to be a Healthy Lens Wearer, there are some tips for us! Rub, Rinse & Soak! Just 3 basic steps, you can be a Healthy Lens Wearer! 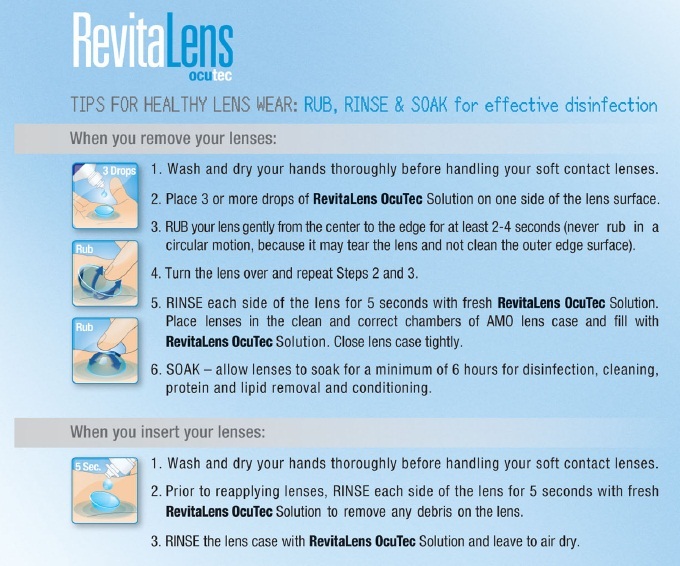 With the tips above, I followed the instructions and cleanse my lens with RevitaLens OcuTec Multi-Purpose Disinfecting Solution! Soak at least 6 hours for disinfection! And you can wear your lens comfortably the next day! Thanks omy.sg & Abbott Medical Optics (AMO) for giving me a chance to review this awesome product! I love it and will continue using it!